Tulum is a wonderful place. It oozes a laid back vibe and produces some of the most beautiful beaches I’ve ever seen. Oh, and don’t forget the fantastic Mayan Ruins and snorkelling opportunities. One of the difficulties with visiting Tulum is simply deciding what hotel to stay in. You are spoilt for choice. 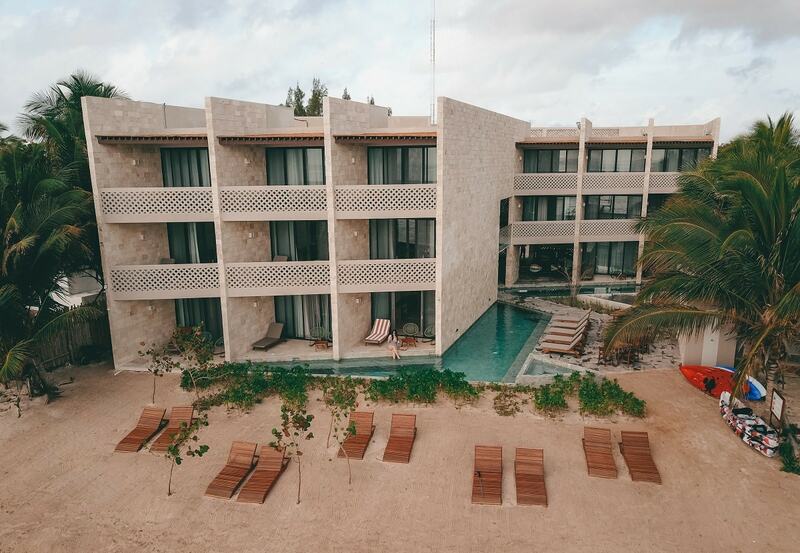 Thankfully, we had the chance to stay at the brand new Alea Hotel in Tulum, so I think I’ve found the perfect place to base yourself. Alea, Tulum is located around a 10 minute drive from the ruins of Tulum. 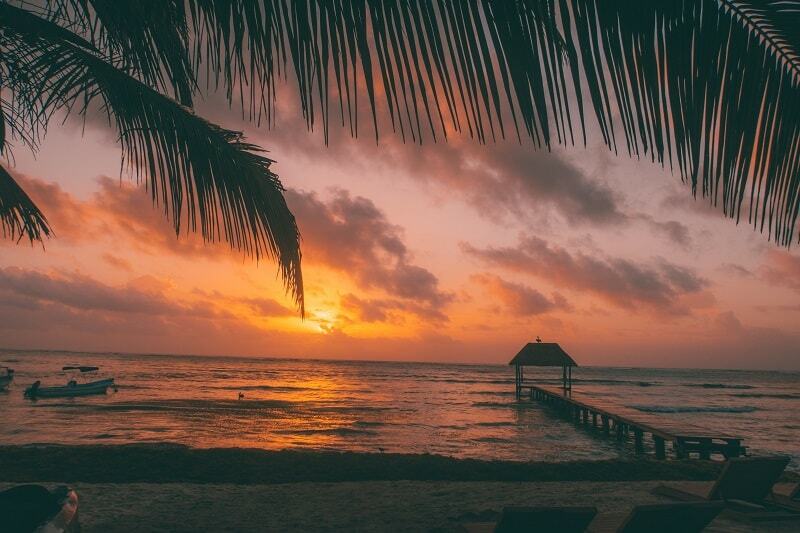 Whilst you might think, “why would I stay outside Tulum?”, the question should be, why wouldn’t you?! 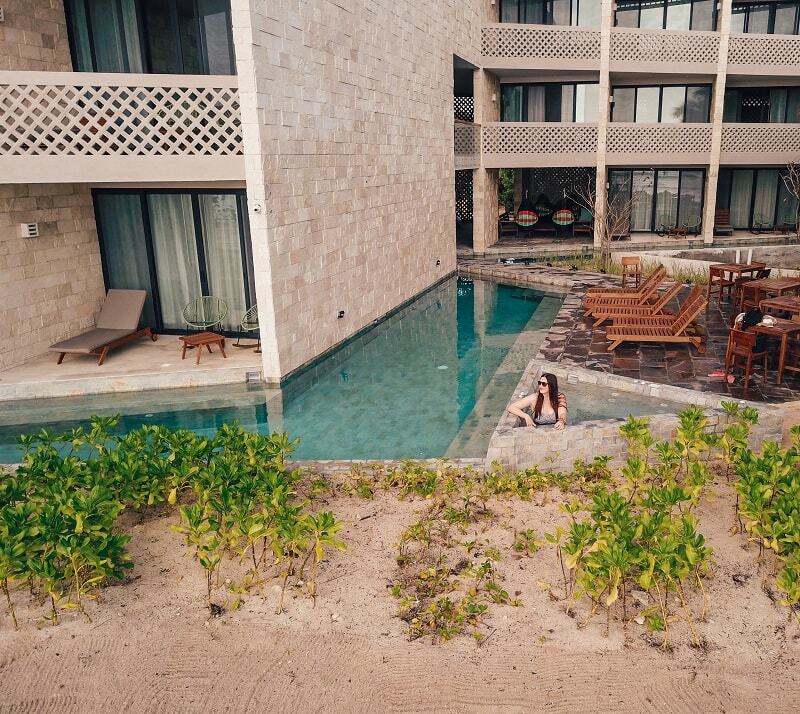 If you are looking for a holiday/hotel escape that you can truly relax, and enjoy stunning sea views, with the sea right at your doorstep, then you’ll want to stay at Alea Tulum. The property recently opened end of 2018, so it’s fresh! This certainly shines through it’s quirky building design and wonderful decor. There are a variety of room options in the Alea hotel, but all of the rooms face the sea, which means you’ll never be deprived of those sunrise and sunset views. You can opt for a sea view suite, or a swim up suite, which literally does what it says on the tin. You can step out on your balcony and step into the pool- amazing. Ocean swim up rooms...COME ON! Bradley and I stayed in an ocean view suite and I can honestly say the views were breathtaking, and some of the best I’ve ever experienced at any hotel. The room included a large, comfortable double bed with an array of pillows. The bathroom is modern and comes with two sinks, which I like to call the “his and hers” sink, which let’s face it, every couple needs! The room also includes an ipod dock, an Nespresso maker and a mini bar, which are all fully stocked and complimentary by the way. You can treat yourself to a cold water, soft drink or Mexican beer. I think this is a wonderful touch and shows the quality you are getting from the property. Extras in the room include comfortable bathrobes, towels, complimentary toiletries and a hair dryer. There is also a large TV with a variety of sky channels for your entertainment! This was one of the most comfortable beds I’ve stayed in-- I didn’t want to leave! 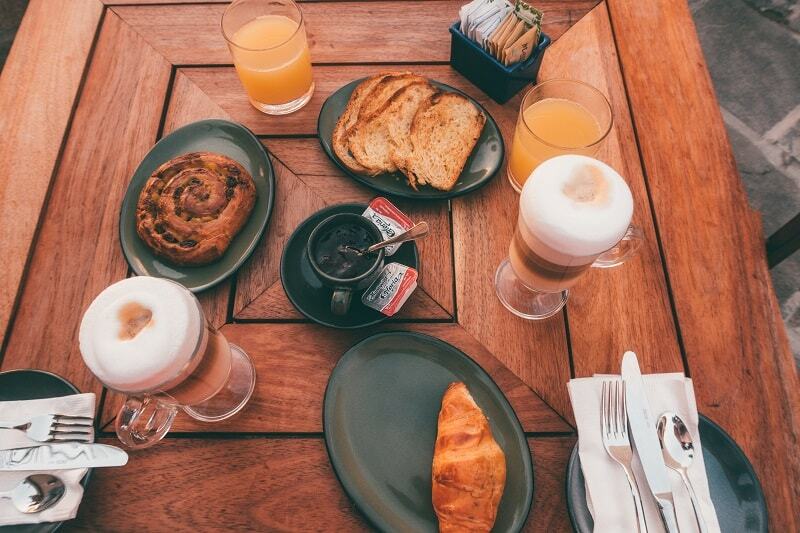 Breakfast is included in your room price and is one of the most wonderful breakfast experiences. You can enjoy your breakfast outside (weather permitting), or inside the wonderfully lit restaurant area. You get to choose from an Entree which ranges from fresh muesli, yogourt, to croissants and cinnamon rolls. Then you choose one option from the main course which truly leaves you spoilt for choice with a varieties of eggs with beans and avocado, Croque De Madame, an oven baked dish with vegetables, eggs and panko bread crumbs, and much more. This then comes with a juice and your choice of Cappuccino (highly recommend), latte, espresso, or unlimited american coffee and tea! Staff are very pleasant and attentive and the food and drinks are presented beautifully. The coffee is delicious and the food was fantastic. An absolutely brilliant way to start your day. The chef at Alea Tulum produces high quality Mexican food that will delight your taste buds. Bradley and I didn’t dine at the restaurant, as since we were reviewing the Tulum area too, we find it’s important to eat out! BUT, the menu did look amazing and I’ve heard nothing but good things about the food online. Lunch and dinner are available and a wide range of drinks and wine are available too. The great thing is that everything can simply be charged to your room, so you don’t need to worry about payment until the end of your stay. I think this makes everything super convenient. 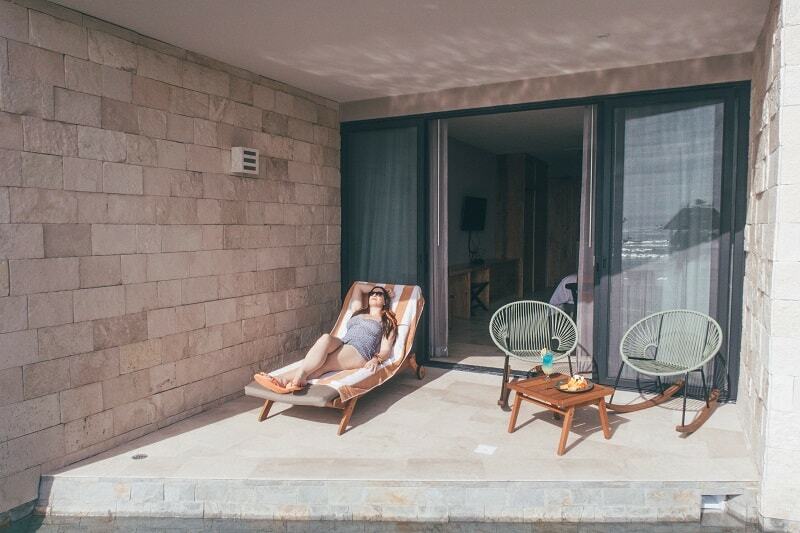 The swimming pool at Alea is perfect for relaxing under the hot Tulum sunshine. It’s done in a quirky design and it outlooks to the sea, which is lovely. There is also a hot tub, although the temperature isn’t warm, but I can imagine it’s very relaxing after being too hot in the sun! It also faces the sea which makes for a lovely view. You’ve got access to a beach right on your doorstep as Alea is located on the beach. It’s not a busy beach, which means it’s perfect for relaxation. There are sunbeds scattered around for you to relax, and there is a longboard walk that leads to swinging hammocks lying above the sea. Grab a book, and relax on the hammocks with the waves around you-- trust me! 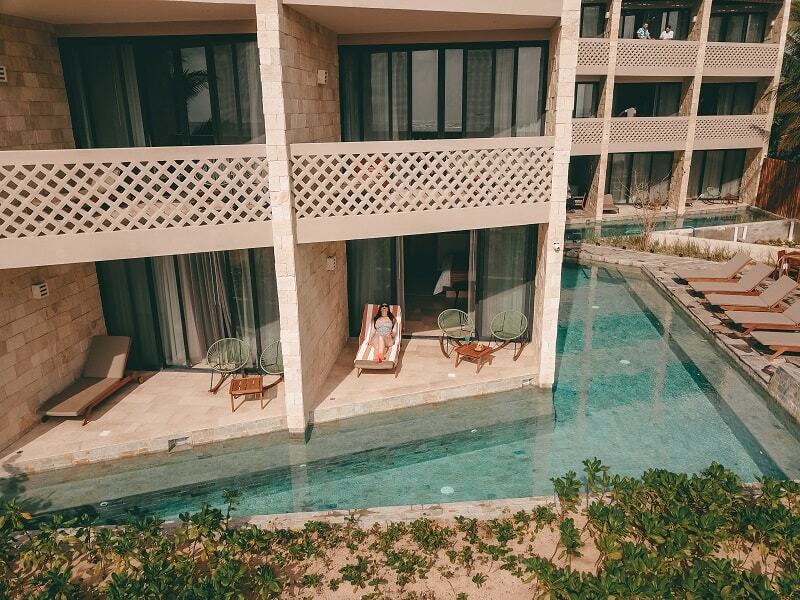 A stay at the Alea Tulum offers you so much more than just a room. You get free bike rental, which is perfect for driving to the beautiful sea on the right hand side road, the cenote that is moments away from the hotel. Free Kayak rental is also available for sea kayaking. They include life jackets and the kayaks are very good quality. Brad and I went out on the sea, and it’s very relaxing. The water is so blue and clear, which is wonderful. Since it’s so clear, and a reef is created, it’s the perfect spot for snorkelling! The hotel organises snorkelling tours for free with its sister hotel “Blue Sky Tulum”, so you can spot as many fish as you can! Every evening we were there, someone knocked on our door and offered us little chocolates! This was a really nice touch and something I began to look forward too. I like when hotels do different acts of kindness such as that. Simple yet effective in the world of customer service. The staff at the property are a credit to the hotel and are willing to help in any way they can. It was a joy to interact with them, and chat. 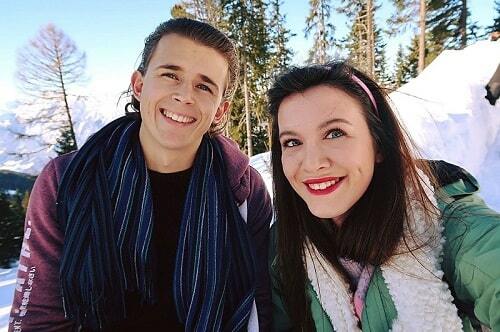 They always have a smile on their face and greet you at every possible moment. 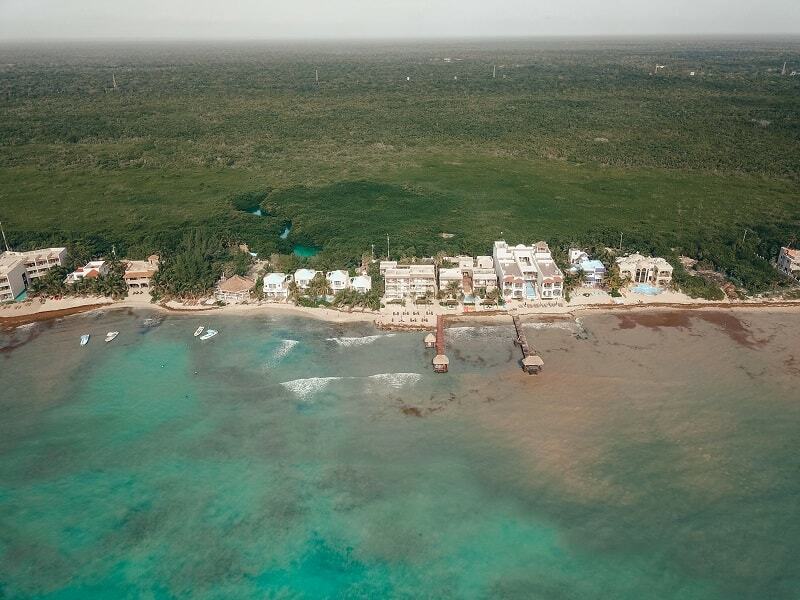 If you are concerned about the distance from the Tulum centre, then you’ll be pleased to hear that the hotel is planning on starting up a shuttle service around 4 times a day for guests of the hotel. This means if you don’t have your own car with you (which is cheap and highly recommend) then you can get the shuttle service. But as of now, it costs around 270-300 pesos in a taxi to and from town and the ruins. This is more than I’ve paid for a taxi in London for a 10 minute journey, BUT it’s because the taxi companies are unionised and there is simply no escaping the prices! I think the Alea hotel is a perfect place for couples and families. I believe it would make a fabulous honeymoon or anniversary getaway, due to its secluded nature, surrounding beauty, and high quality service and rooms. I also think it would cater well to families thanks to the availability of bikes, snorkelling and kayaking. There are lots of things to do to fill the days with family fun. 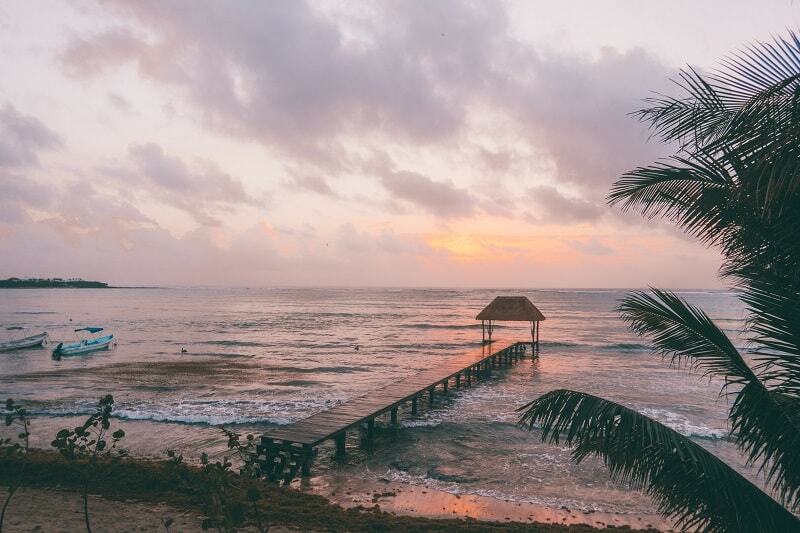 If you truly want a serene escape, with you, the sea, the beach and stunning views, then a stay at Alea Tulum is where you want to be! If you want to experience Alea Tulum for yourself, then book yourself in here. As you already know, we always use booking.com for our hotel bookings, so it’s only fair we include them, but you can also contact the property about booking direct if you wish. Want great tours in Tulum?